Enjoy morning, afternoon and evening game drives. Join expert guides on informative walking safaris. 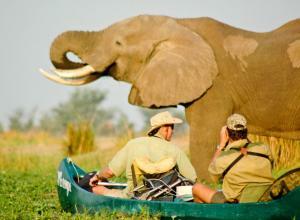 See riverside wildlife on canoe and boat trips in Mana Pools. Visit one of the best places in Africa for leopard spotting. 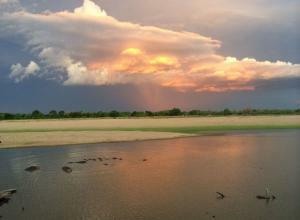 Stay on the mighty Zambezi River. Upon arrival, meet & greet by our Representative. Private transfer from Lusaka International Airport to the hotel Check in and freshen up. 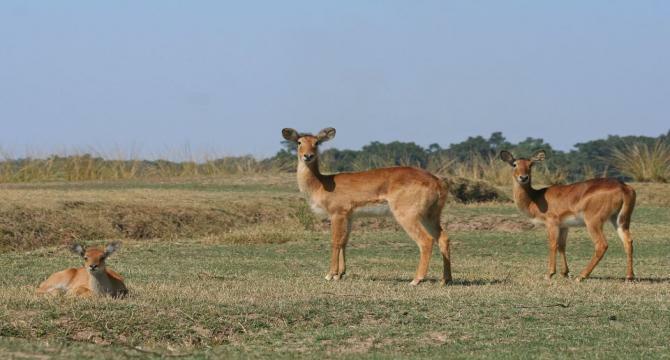 On arrival in Lusaka you will be met and shown to domestic departures for your light aircraft flight to Mfuwe, close to South Luangwa National Park. Here you will be met and driven to Mfuwe Lodge, which is located just within the park in an excellent area for game viewing. 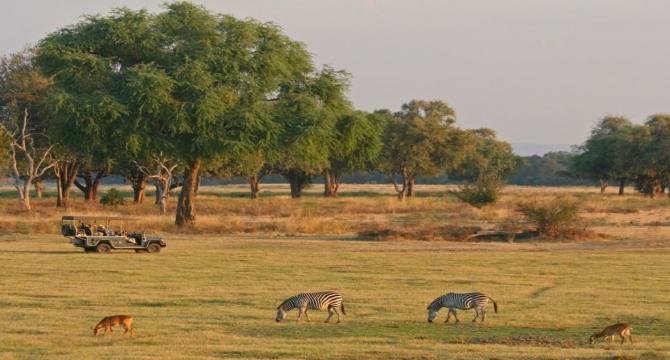 Enjoy an afternoon safari activity or relax at the lodge. 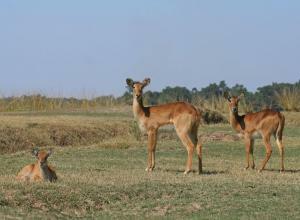 Spend today on safari in South Luangwa National Park. 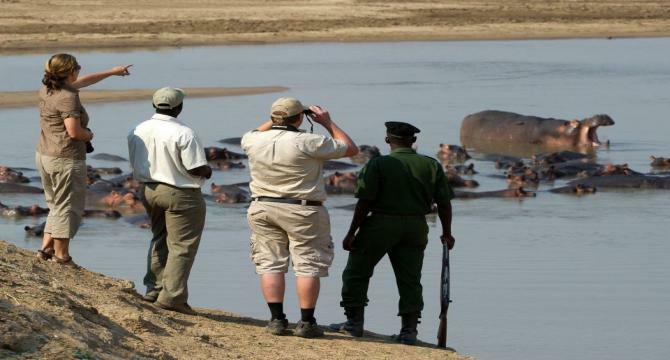 You will be taken out by your knowledgeable safari guides on morning and afternoon/evening game drives or walking safaris. 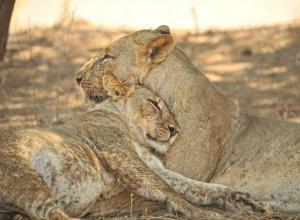 The Luangwa has excellent populations of lion, buffalo, elephant, hippo and much more. Another day spent on safari. This is one of the best places in Africa for spotting the elusive leopard. Sightings are never guaranteed, but you may be lucky. This morning you will be transferred to Mfuwe Airport in time for your flight to Lusaka. In Lusaka you will fly to Harare Airport. 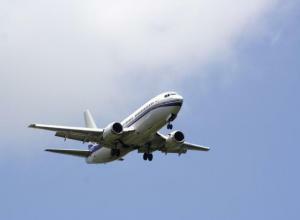 On arrival in Harare you will need to buy your visa and then meet your pilot. You will be flown by light aircraft to Mana Pools, which will take around an hour. Your guide will meet you on arrival and drive you to camp. You will be able to head out on an afternoon activity after settling in to camp. Enjoy a whole day of safari activities. 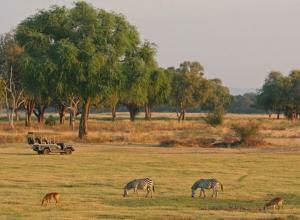 Game drives explore the woodland, open plains and riverbanks. Mana is well known for its elephant, which stand on their hind legs to reach the trees. 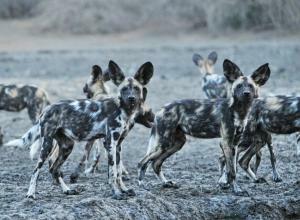 It also has excellent populations of buffalo, lion, leopard, giraffe, eland and more. Another full day of safari activities. You may wish to go on a walking safari or take a boat trip on the river to see crocodiles and hippo. Mana has some wonderful birdlife, with species including malachite kingfishers, saddle-billed storks, spoonbills and carmine bee-eaters (in September and October). Tour payment should be made not less than 30 days prior to tourist group arrival to our bank account as per the sent invoice. Prices are confidential & 50% advance is required to secure the bookings. Remaining payment is to be made before 2 days of departure. Scanned copy of Passport’s front Page. 02 Passport Size Photographs with 80% Face Resolution & white background. Original Passport before 4 Days of Departure Date. Please Note it will be a group E-Visa and will be given to you on the day of departure at the Indira Gandhi International Airport At Gate No. 6 by our Travel Consultant.